Perhaps best known for its affordable valve amps, Roth Audio has launched its debut range of equally affordable loudspeakers. Called OLi, the new speaker series comprises a three-strong line-up and represents the first speaker range for the young company. OLi range to "fill the gaps"
The OLi range has been developed in tandem with a "major North American engineering team" and is said to "fill the gaps" in the speaker market both in the UK and abroad. Roth Audio actually states that the OLi speaker range has been specifically designed to compliment the brand's existing Music Cocoon valve amplifiers - which should mean high efficiency. 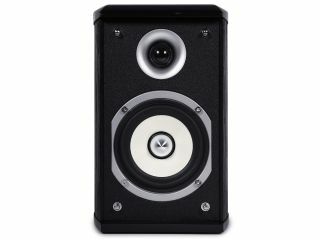 First up is the entry-level OLi1 (£100), a diminutive two-way standmount speaker which sits at just 20cm tall, but is finished in a luxurious high-gloss black lacquer. For a further £50, the OLi2 is a slightly larger offering with a suitably bigger bass driver for added oomph. Topping the range, is the OLi3 (£250), which at almost one metre in height, houses two drivers with power handling up to 150 watts - more than enough for Roth's valve amp range. OLi is said to sport "super-solid" cabinets and use Roth Audio's proprietary DALtech cabinet damping for improved sonic performance.